So you’ve decided that you are sick and tired of renting and now is the perfect time to buy a home, the only problem is that you don’t have the money to buy it outright. Don’t worry, in today’s economic climate very few homeowners have the funds to purchase their house outright, instead, they choose to take out a loan from the bank. 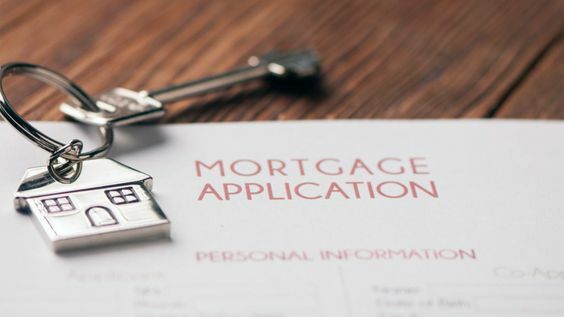 Of course, if you’re buying as a first-time buyer, the loan process can be somewhat confusing and stressful as there is a lot to it. Many different questions may arise when it comes to taking out a loan for the first time, such as whether your credit score is good enough to allow you to be accepted for a loan and how long the entire application process takes. To help make the loan application process a more simple and straightforward one, below is a guide to applying for a home loan to buy a house. One of the most common problems that buyers struggle with is finding a home that they love and then realizing that they don’t have a mortgage in place, so they unable to make an offer on the property. That’s where pre-approval comes in, before taking a look at what is available on the market, it makes sense to first determine what a lender would be willing to loan you. A pre-approval means that a mortgage lender has taken a look at your credit score, income and other important factors for determining whether you are eligible for a home loan, and has decided that you are a suitable candidate for a loan. This means when you find your dream home, you already know that you’ve been pre-approved and don’t need to worry about your mortgage application being declined. Before you apply for a pre-approval, it’s a good idea to give your finances a health check. Look for any late or missed payments, defaults or other negative financial factors that should be taken into account. Whether you’re filling in an application for a pre-approval or for a full A and N Mortgage in Chicago, it’s vital that you are mindful of not making mistakes on your application form. You need to fill out your form in a very open and honest way, ensuring that every detail you put down is correct. Otherwise, you could end up in a bit of a sticky situation with your mortgage not getting approved. When filling in your home loan application form make sure to do so clearly and accurately. If you need to contact your bank and other financial services to ensure that you get the information on your form correct, make sure that you do so. Your mortgage application form is only likely to be approved if every aspect of it is correct. Once you’ve applied for your mortgage loan or your pre-approval, you will know how much money you are eligible to borrow to purchase your home. However, a mistake that you don’t want to make is thinking that you need to use all of the money that you’re eligible to borrow. Instead, only use what you actually need and what’s affordable to you. Remember, every penny that you borrow has to be paid back, plus interest, so the less you can borrow, the better. To determine what would be affordable for you on a monthly basis, you can put various price combinations through an online home loan calculator and then use the result to work out which option is the most affordable for you. You don’t want to make the mistake of borrowing an amount that it isn’t affordable to pay off each month. You need to know what you can afford to spend and stick to that amount, to ensure that the home you buy is affordable to pay off. Check out the mortgage calculators we offer to get a better idea of this number. Once you have made an offer on a house and it’s been accepted, the purchase agreement has to be sent back to your mortgage provider and their banker. The banker will then look at your loan and requirements and will ensure that you’re on the right mortgage program for you and your ongoing needs. Once this has been done, the loan is then sent through for underwriting. The underwriting process is where your assets, income, and employment status are assessed and verified and are then compared to the information on your credit report. Although this will all have been checked at the start of the house hunting process it has to be checked again before everything is finalized so make sure to keep your finances and credit score in tip-top shape during this time. Make sure that if your mortgage lender asks you for additional information that you provide it as soon as possible to them. Otherwise, the entire process could get held up, which isn’t what you want when you’re trying to close on a property. There you have it, a guide to what you should expect during the home loan application process. Good luck! This entry was posted in 'A & N Mortgage', a and n mortgage, Home Page Blog, homebuying, Tips and Tricks. Bookmark the permalink.